Five reasons why LINIAN’s products are the best on the market – here’s why! 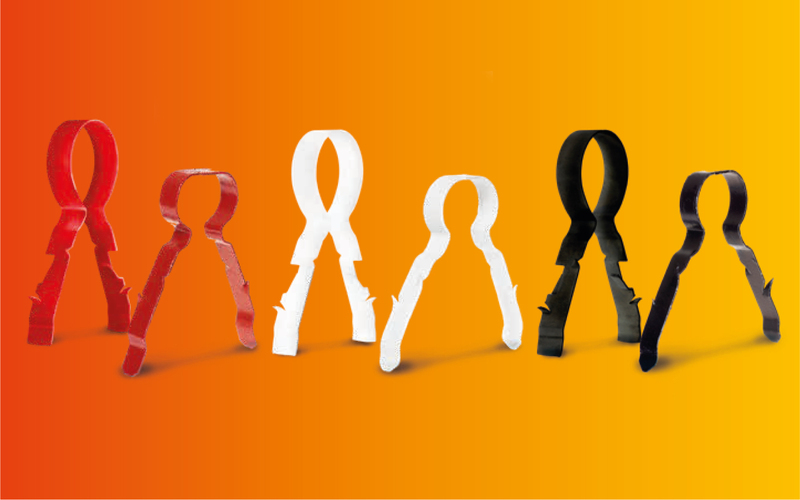 As well as being the only full compliant, single component, time saving solution – LINIAN Fire Clips have been tested to withstand high temperatures in multiple scenarios including mechanical shock. Ian Arbuckle, Managing Director at LINIAN explains the importance of the standards that all of their products meet: ‘When we started our journey with a new and innovative product, we quickly realised there was little testing available on the market for products like ours, so, we decided to look deeper into the available testing for fire rated cable systems. We found there were test procedures in accordance with various international standards that were effective in assessing the integrity of cables in high temperature fires and concluded that these would be an effective method of assessing our products. Initially the Technical Team at LINIAN were drawn to standard BS5839 due to its requirement for fire resistant fixings to support critical path cabling, however, BS5839 is simply a Code of Practice for use when installing exclusively fire alarm systems. Whilst this is useful, it was concluded that this was nowhere near comprehensive enough for the LINIAN product and we decided to dig deeper. All of our products – of which there are 9 variations – meet the following standards and have been tested in accordance with the accreditations below. Team LINIAN are happy to provide Certification on request’. Very early in the process, LINIAN decided to look at the test procedures and methods for fire resistant cabling including soft skin and were immediately drawn to the testing methods for these in compliance with BS EN 50200. Ian Arbuckle designed a scenario to test fire resistant cable in fire conditions whilst subjected to mechanical shock, thus simulating the real effects of a fire. Working with Exova Warrington Fire, LINIAN devised a test for their products in line with standard. The LINIAN Clips were subjected to a high temperature fire and mechanical shock for 120 minutes and were found to maintain their integrity and remain in place for the entire duration. PH120 classification is the highest level of integrity for this standard and the LINIAN Clips surpassed it. construction environment. Multiple cable specifications were also used in this test with the LINIAN Clips including Soft Skin Fire Cable and Mineral Insulated Cable. The LINIAN Clip again, surpassed expectations by maintaining its integrity and position throughout the duration of the test. Replacing the plug and screw was never going to be easy – it was going to require a complete change in mindset within the industry of how things had always been done. LINIAN regularly pull out test products in accordance with BS5080-1:1993 and achieve a consistent minimum of 25kg per clip. The new SuperClips range have an even higher pull out load that it currently being tested and assessed. LINIAN are the only screwless fire clip manufacturer to offer a range of colour finishes to match the cable. Ensuring the product is safe in every environment is of paramount importance, so LINIAN undertook smoke and emissions testing to the extremely stringent London Underground Standard. As it was important to truly quantify the obvious benefits of the LINIAN Clip – the phenomenal 72% time saving on installations was quantified by Strathclyde University. They were commissioned to carry out a time study of the product when used compared to methods using screws. LINIAN is a family owned and run pioneering business based in Scotland specialising in the manufacture and distribution of patented fire rated cable clips to make cable installations faster, safer and simpler. 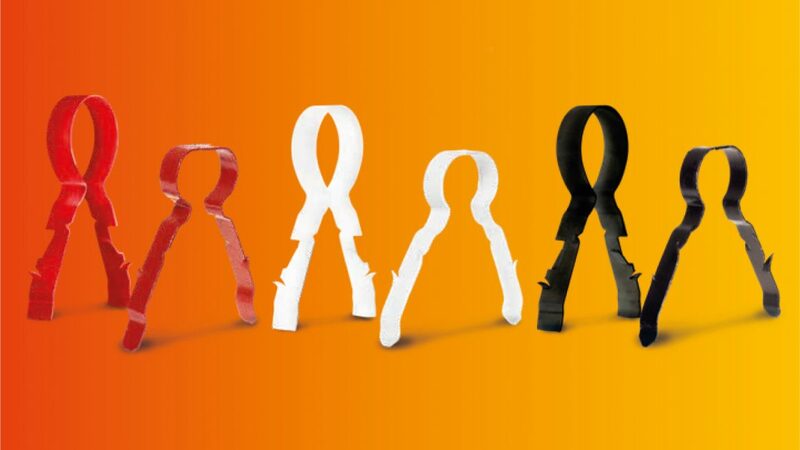 The result of years of advanced technical research and direct experience, the LINIAN Fire Rated Cable Clip is a unique single component design, meaning that there are no screws, nails, washers or plastic in the substrate meaning significant advantages to the installer to save time, money and lives.